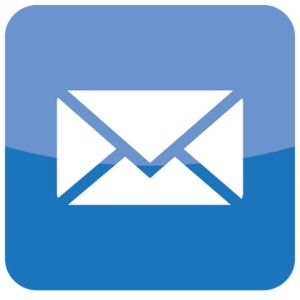 A Screen-Free Week: Live Bloggin'!!! OK, it's not THAT bad. Not yet, at least. After I pick the boy up from school, well, we'll see. For a while, I tried to limit the kids' TV time, but the more I tried, the more attractive the TV was becoming. TV became the reward, rather than just another thing the kids could have fun with. So between noticing the kids were doing a pretty good job moving from TV to toys to running around, and feeling like a hypocrite, since I watched a lot of TV as a kid, I ended the war on TV. Also, to be honest, I feel TV can have a positive effect on children (in moderation. All in moderation). And sometimes I do need them to veg out because I have things I need to do. And it's hard to hurt yourself while watching TV, but it's pretty easy to hurt yourself when you run from one room to another and your brother runs the opposite direction, not stopping until heads meet. So I don't limit TV time. The kids are doing well, thank you, and I'm pretty sure none of the experts that warn me about the way TV is ruining my kids actually lives in this house, so the experts can keep their advice to themselves. But still, last year, when my kids' school asked parents to sign up for a screen-free week, we signed our kids up and we signed up ourselves. The first day was hard, but by the 7th day we all felt much better. My boy could even play a tune on the keyboard he never previously touched. I have nothing against TV, but Screen-Free Week turned up to be a great week for the family. And now it's here again, and we all signed up. No Game of Thrones. No 5 minutes of Monk on Netflix to help me fall asleep. No crazy Baltimore people on the local news. Nothing. Just a black screen. But hey, I quit smoking--I can do without TV for a week. And my kids--they'll be fine too. Sure, they'll bump heads a few times (literally), but they might just end up better for it (not the head-bumping part). And when the week is over, they'll remember (and we'll remember with them) that TV may be fun, but it's not necessary, and that no one has ever died from not watching TV. Unless we miss a tornado warning. And now I'll update this post every day, to show our triumphs and our failures (and by triumphs and failures I mean playing together as a family and sneaking into the bathroom with headphones to watch those 5 minutes of Monk). Stay strong! And no Game of Thrones spoilers, please! 4/30/13 -- As expected, the kids did bump their heads while running in the living room. Still, brain damage would have been more severe if they had watched Yo Gabba Gabba instead. Also, my 5-year-old boy woke me up at 4am to tell me he was too tired to sleep. I'm not sure that's connected to Screen-Free Week, but hey, it might be an indicator of withdrawal symptoms. 5/1/13 -- So far, surprisingly enough, the kids haven't used their screen-free time to practice their ballet routines or their Mandarin vocabulary. However, when the 3-year-old girl was lying belly-down on our bed, the 5-year-old sneaked up behind her and pulled her legs up. She then farted on his head. 5/4/13 -- Today the wife is back. It's been a hard week, since we're trying to buy a house, and there's some back-and-forth with the sellers, and are we sure we'll be able to find renters for our house? Or should we just sell it? Or maybe try to rent it by the week through airbnb? Or buy a house, rent this one, and live with Granny for a year? We walked to the local preschool's playground last week, and a nice 10-year-old girl started chatting with us because we looked friendly. She told us about the kids in her class who smoked cigarettes, and about how she couldn't ride her bike behind the school, because "There are teenagers doing bad things there." So staying in our very cool, but not very kid-friendly neighborhood is out of the question. All I'm trying to say, is that after the kids go to sleep today, the wife and I MAY watch a little bit of TV. I know I sound like an addict who's looking for excuses. Hey, I had many failed attempts before I managed to quit smoking, so I know all about that "one more can't hurt" mentality. Still... An hour of TV can't do any harm, can it? Just one Game of Thrones? Please? 5/5/13 -- Oh, Glory Days! There'll be a Game of Thrones double-feature! And some freakin' Monk! And shows about people who kill people! And tomorrow we'll play the Wii! And watch the news, with local people with funny accents talking about the string of burglaries on 36th Street! And we'll never turn the TV off again! Oh, how I've missed you, my precious! 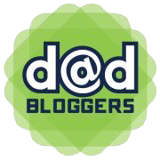 When I started the Dad Bloggers group in December 2012, I expected, or rather, hoped to get 10 people. Maybe 20. And they were all going to be people I already knew. I reached out to a few of my blogging friends, word spread out, and gradually, something different was beginning to emerge. Instead of it being a group of 10-20 members promoting each other's blogs, the group was becoming a community. We weren’t just sharing each other’s posts, we were also sharing our frustrations and our hopes--whether professional or personal. Word was indeed spreading, and people I would have never had the privilege of knowing, were joining the group and sharing their blogs and their stories. Ryan Prudhomme joined at the end of December. A few days later, he told us about his terminal cancer. 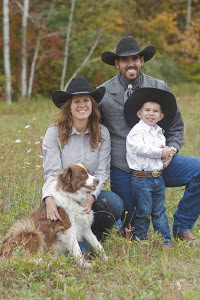 Ryan was diagnosed in April 2011, on his son’s birthday, and was given less than a year to live. He then started to blog. We all know our time is limited, but we choose to ignore it most of the time. Ryan couldn’t ignore the end, and the issue of legacy had become the focus of his life. There were some ups and downs with his health, but he and his wife seemed to accept the end, no matter if it were coming a day, a year, or a decade later, with grace and acceptance. I’m not a religious person, but if faith can bring so much good to people who go through so much, it’s definitely a positive thing. I probably can't leave him an inheritance, a business, or a boat. I can leave him the one thing he'll need to face every situation he'll ever encounter. I can leave him a bridge to his father, his great-grandfather, and his heavenly father. I can give him something that inspires, educates, matures, and protects him. I will give him the most valuable thing I have... my Bible. It is a topical discussion of the areas of Colton's life he'll need to learn about to be a godly man. These are the things I planned on teaching him over the next 20 plus years. I pray that someday I get to read this book to him, but if I don't and he's the only one that reads it, it will be worth it. Ryan Prudhomme lost his battle with cancer on April 9th, 2013. There’s a lesson in his life and in his writing for religious people, but also for the rest of us. His wish to live in high definition applies to all of us who concentrate on banal issues and hollow achievements, and neglect the important things in life--the things we only remember when we’re forced to face the end. Today, I'm grateful for the community of bloggers I've met in the last few months. Bloggers have this reputation, see. We're narcissistic. We're combative, anti-social, or at best, introverts who can never make real connections. Add to that the stereotypes of men as loners who are too scared to let go of their aloof identities, and you cannot be further from the truth. I'm glad that Ryan felt comfortable enough with the group to share his stories and his dreams. We're all better because of that. Rest in peace. I'm writing this post at the end of March, when Joel's baby is 9 days overdue. I can empathize--our first kid was two weeks late, so I know how difficult this time is for him. Don't get me wrong, it's not that fun for his wife, but considering most parents expect/hope their baby comes out a couple of weeks before the due date, you're talking about a very stressful month for both almost-parents. By now, Joel is a dad, and this crazy month is probably a little nostalgic. Well, maybe not yet, but give it a few years. One day he'll sit with his kid and talk about that month. He'll talk about how they had tried everything: long walks, spicy foods, massages, and about how in the end, just when the parents came to terms with their baby living in his mom's belly, he came out. And somehow it was worth the wait. Head over to Daddy's Grounded for before-baby and after-baby posts, show him (and his wife) some sympathy, and enjoy reading the blog and remembering the magical new-baby time. 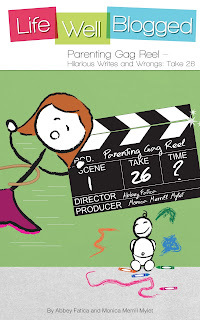 A book containing a "funny" post from this blog has just appeared on this ebook collection: Parenting Gag Reel - Hilarious Writes and Wrongs: Take 26 is out today, and it looks great. It's a $2.99 download for Kindle or for Nook, and it guarantees to bring in the funny from some great parenting bloggers (and the "funny" from me). The people who put this thing together are giving me 5 codes for free download, so I hope you enter the sweepstakes below and get to read the book for free. I'll have it up here for a week. There's also a giveaway of the three previous books, open to all fans of A Life Well Blogged on Facebook. It ends tonight (4/2). After 1,000 downloads of the book, the Life Well Blogged people are giving away a Kindle Fire. If you subscribe to their newsfeed (which you'll have the opportunity to do below), you'll be automatically entered to win a Kindle Fire. Here's the giveaway. Good luck!